Device battery life will be significantly affected by the use of this API. Do not acquire WakeLocks unless you really need them, use the minimum levels possible, and be sure to release it as soon as you can. If you hold a partial wakelock, the CPU will continue to run, irrespective of any timers and even after the user presses the power button. Without going into more detail, what this basically means is that even when your phone isn’t in use, the Facebook app may cause it to continue to burn through CPU cycles (and RAM/ROM cycles, for that matter). 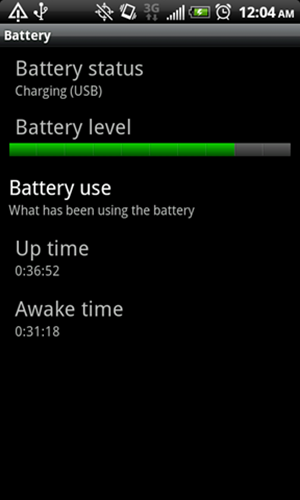 The end result is that your battery life takes a significant hit. I noticed this yesterday after I updated my Facebook app the night before, but I also flashed a new CM6 nightly and I (incorrectly) assumed that was the cause of the power drain. The power drain was fairly substantial - with the same usage conditions (and unplug time and time-frame), my battery was at 38% when I went to bed, while it’s normally around 54%. Hopefully it won’t take Facebook as long to fix the wake lock issue as it did for them to come out with a decent App - if so, we probably won’t get a fix until mid-2012 (*zing*). Hi folks, a number of you have commented on seeing a battery drain on your device since installing the new Facebook for Android app. We have identified the bug that is causing this battery drain and are working on a fix now. As soon as the patch is ready, we will push out an update. Thanks for the quick feedback and for your patience as we get this fixed!